Alpacas: the unofficial mascot of bitcoin? What’s up with alpacas and Bitcoin? Well, if a digital currency movement can be said to have a mascot, alpacas serve that role for Bitcoin, albeit unofficially. 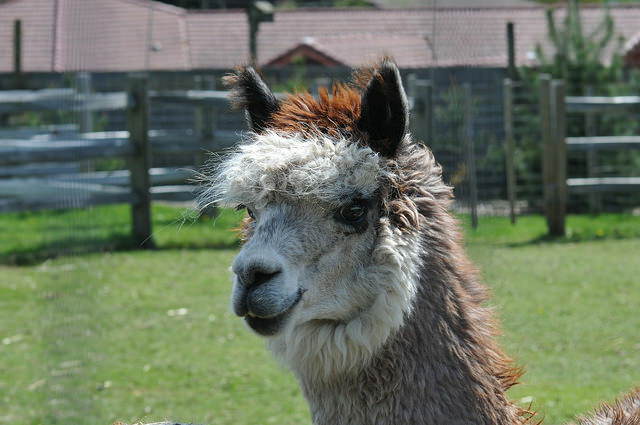 In fact, a Bitcoin Forum discussion in April 2011 offered a “bounty for a bitcoin mascott (sic) drawing” and offered a photo of an alpaca to serve as a model. The individual who made the offer was not pleased with any of the drawings, and so there is no official mascot rendering for Bitcoin at present. The Bitcoin wiki page on alpacas traces the connection to a Feb. 10, 2011 Slashdot post about what people could buy with bitcoins at that time. Alpaca wool socks from Grass Hill Alpaca were among the first products available for Bitcoiners to purchase. Other mentions of alpaca socks, like Slashdot’s “Do alpacas really wear socks?” kept the animal reference going. Obviously, the alpaca socks are made of alpaca wool and not for alpacas. If you haven’t seen an alpaca, it looks rather like a llama, though it is smaller. The official name of this camelid is Vicugna pacos.It has a long history of domestication, as people use its wool, which is softer and warmer than that of sheep. The absence of lanolin means the fibers are hypoallergenic. That’s a major selling point for socks made of alpaca rather than sheep’s wool. Most recently, alpaca socks were featured in the “Bitcoin Kid” interview of Stefan Thomas of Ripple during the May 2013 Bitcoin conference in San Jose, CA. You can view the video here. According to the Bitcoin wiki page, the Bitcoin community has latched onto the alpaca-Bitcoin connection. After Bernard Von NotHaus was labeled a “domestic terrorist” for issuing his own currency, Bitcoiners embraced the slogan, “We are ‘alpaca-sock-wearing crypto-terrorists,’ ” which gave the alpaca socks pride of place in the image. So how did this less-than-obvious pairing begin? The Grass Hill Alpacas farm in Haydenville, Massachusetts is owned by Jim and Nancy Forster. It was their son, David Forster, who convinced them to accept bitcoins. Forster, who calls himself a “self-taught economist,” claims the distinction of being the first merchant to sell a product for bitcoins. When he learned about Bitcoin in 2011, he resolved to find a way to participate in that economy without mining. “I wanted to get involved, but didn’t trust anyone enough to send an envelope of cash to get a bitcoin, so I decided to sell socks in exchange for bitcoins,” says Forster. Sock sales have risen to between 75 and 100 since the experiment began from four dozen during all of last year and orders have come from as far as Finland and Russia. More remarkable is what has happened to pricing. Forster began charging 75 Bitcoins for each pair in February and has since had to lower the price to 5 due to extreme appreciation in the currency’s value. Of course, at today’s valuation, the price would have to be only a fraction of a bitcoin as the socks are priced at $20 a pair. Forster says the digital currency facilitates sales overseas. “It makes international transactions as easy as interacting with your neighbor, so we’ve sold socks to dozens of countries in Europe,” he says. Of course, avoiding the currency exchange and foreign transaction fees is another benefit for both the customer and seller over international borders. Even for domestic sales, Forster points out, transactions using bitcoins prove far more cost-effective than those using credit cards or PayPal because the fees are so much lower. Forster’s only regret is that he did not hold onto all the bitcoins he obtained from the sock sales. Much to his chagrin, he traded them in for cash and web services. From now on, though, perhaps he will not be so hasty.